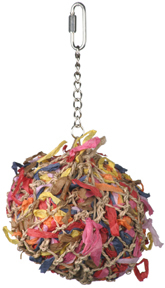 Jute net ball stuffed full of colorful shredded paper and food colored dyed wooden beads, spools, blocks, buttons and much more. 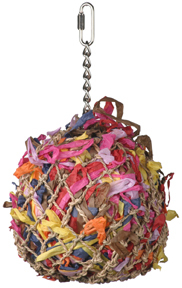 This will keep your bird busy for weeks foraging for the hidden treasures inside. Tired of you bird taking the dinger out of the bell! 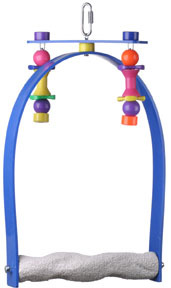 This unbreakable bell will cure the problem. 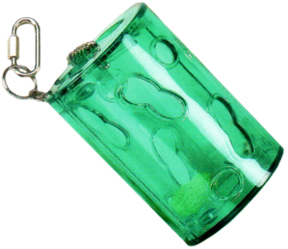 The bell is housed in unbreakable plastic and will last forever. This foraging treasure chest will provide many hours of fun for your pet. 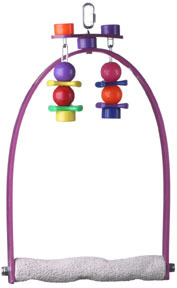 Packed with colorful food colored dyed wooden shapes. Tired of you bird taking the dinger out of the bell! This large unbreakable bell will cure the problem. 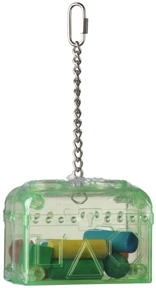 The bell is housed in unbreakable plastic and will last forever. 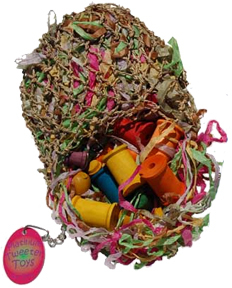 This large foraging treasure chest will provide many hours of fun for your pet. 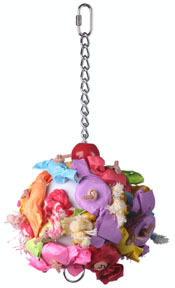 Packed with colorful food colored dyed wooden shapes. 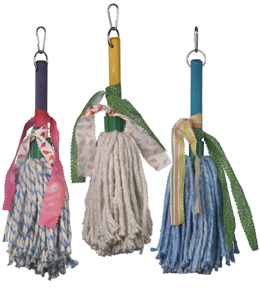 Colorful food color dyed and natural cotton rope mop accented with cloth strips. 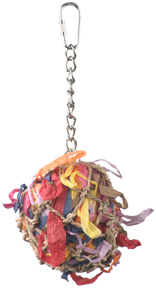 Woven rope and cloth strips will entertain your bird for hours of shredding fun. 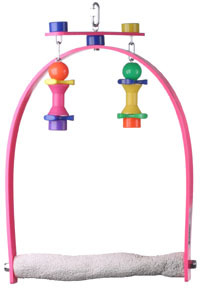 This unique toy also gives your bird a place to hide when hung directly above their favorite perch.